Two guys, one job, everyone said it was gonna be simple, but with these two, nothing's ever simple. https://opensignprods.com Available for Pre-Order! Coming this March! 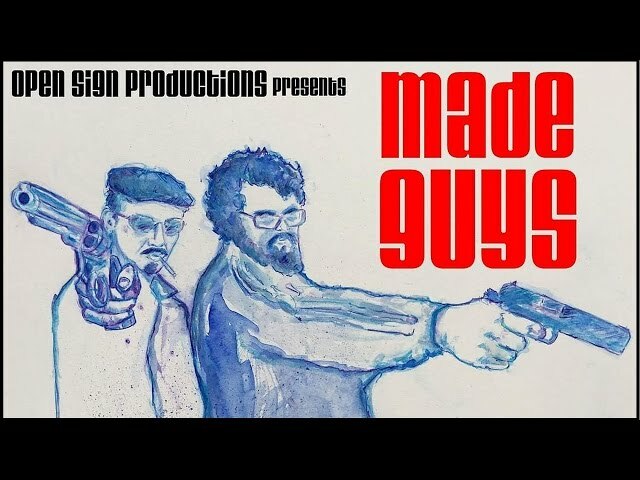 Facebook: http://facebook.com/madeguys Made Guys, the newest film by Open Sign Productions. Directed by Christian Nash and starring Cam Clark & Ryan Woebbeking. Made Guys has been released on Amazon Video and Steam along with on DVD and Streaming through our website! Click on the links above to watch! The DVD includes the movie, commentary, bloopers, and more! Order your copy today and be one of the first people to get your hands on it! Click to Order DVD! You can also watch Made Guys DIRECTLY through our website! Rental or Purchase options available! Click to Watch Online! The newest feature from Open Sign Productions; MADE GUYS is directed by Christian Nash and stars Cam Clark and Ryan Woebbeking.